Plan your group&apos;s visit to the Roanoke Valley in Virginia&apos;s Blue Ridge by taking advantage of these group-friendly sample itineraries. Your tour will have the opportunity to experience the amazing arts & culture, delicious cuisine, rich heritage, and stunning natural beauty in each of these itineraries, and they&apos;re customizable to fit the needs and interests of your group. From spending a day relaxing in the heart of the Blue Ridge Mountains, to spending a day full of activity and adventure, you can plan the perfect experience in the Roanoke Valley. The following itineraries are designed to help you build the ideal tour of the region. You can also refer to our section on Hub & Spoke Tours for more ideas. For more information and additional resources, feel free to Contact Us. Day One: Arrive at the Virginia&apos;s Blue Ridge Visitor Information Center and receive a personal welcome to Virginia&apos;s Blue Ridge. Your first stop will be the Roanoke Star and Overlook, where you&apos;ll see our famed neon star and take in a stunning view of the region. Next is shopping and browsing at the Historic Roanoke City Market, where there are lots of unique shops, galleries and restaurants. Then, tour the Virginia Museum of Transportation, which houses nearly 60 pieces of train cars and locomotives, including the Class J-611 and 1218 steam engines. Top off your first day with dinner and a private tour of the O. Winston Link Museum or a live evening performance. Day Two: A short 40-minute ride takes you to the National D-Day Memorial, a moving tribute to allied forces who landed in France in 1944. Following the memorial, enjoy a relaxing cruise aboard the Virginia Dare on scenic Smith Mountain Lake. Then, learn about the life of the famous African American educator at the Booker T. Washington Monument. Day Three: Relax and enjoy the scenery on the beautiful Blue Ridge Parkway and enjoy a stop at Mabry Mill, one of the most photographed places on the parkway, followed by lunch and wine tasting at Chateau Morrisette Winery. Next, head to Center in the Square, where you&apos;ll find the Science Museum of Western Virginia, and take in the latest interactive exhibit and butterfly garden. The view from the rooftop and aquariums in the lobby are worth the trip. 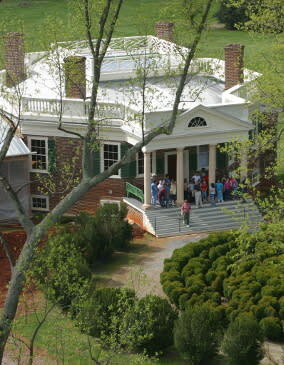 Add in the History Museum of Western Virginia for historic tidbits on the region. For lunch, you have many great restaurant options to choose from in the Roanoke City Market Building, a food court filled with local eateries. Not far from your lunch spot, head over to the Taubman Museum of Art for a walk through contemporary art galleries. Afterward, take the David R. & Susan S. Goode Railwalk to the Virginia Museum of Transportation for a history lesson in transportation, including rail, auto and aviation. 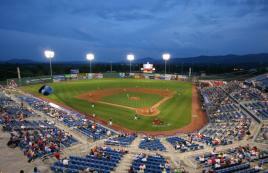 Check-in at your hotel and dress comfortably to watch a Salem Red Sox baseball game from box seats while eating Cracker Jacks and hot dogs. Overnight at a group-friendly hotel. Day Two: Choose from a visit to Dixie Caverns and hike a portion of the Appalachian Trail with Roanoke Mountain Adventures (an outdoor adventure guide) or tour the National D-Day Memorial and Thomas Jefferson&apos;s Poplar Forest. Day One: Begin your tour at the Virginia&apos;s Blue Ridge Visitor Information Center for a welcome to Virginia&apos;s Blue Ridge. Your first stop will be the Virginia Museum of Transportation, where you&apos;ll learn about the unique railroad heritage of the region. Then, explore the collections and exhibits of the Harrison Museum of African American Culture at Center in the Square. Grab a boxed lunch at The Roanoker Restaurant on your way to tour the Booker T. Washington National Monument for a tour of the birthplace of the well-known black educator. Finish the day with a dinner cruise aboard the Virginia Dare on scenic Smith Mountain Lake. Afterward, check into your Roanoke Valley group friendly hotel. 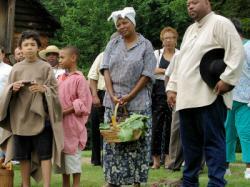 Day Two: Follow the Gainsboro History Tour of African American Culture. Learn about the Gainsboro neighborhood and how it played a critical role in the development of African American culture in the region. You&apos;ll visit the Martin Luther King, Jr. statue at the "Henry Street" Bridge, where inspirational quotes are etched into the ground and excerpts from speeches made by Dr. King are broadcast around the area. The tour also features the Dumas Center for Artistic and Cultural Development, which is the former Dumas Hotel. The hotel provided accommodations to many world-renowned singers and musicians who performed in the area, including Louis Armstrong, Dizzy Gillespie, Duke Ellington, Ella Fitzgerald and many more. Visitors will learn about the unique history of the Gainsboro Library and see the homeplaces of former African American residents in the Gainsboro community. Arrive at the Virginia&apos;s Blue Ridge Visitor Information Center and receive a personal welcome. Make your first stop the Roanoke Star and Overlook, where you&apos;ll see the valley&apos;s famed neon star and take in a stunning view of the region. Next is shopping and browsing at the Historic Roanoke City Market, where there are lots of unique shops, galleries and restaurants for lunch. In the afternoon, a focus on our rail heritage allows the group to explore the Virginia Museum of Transportation, which houses nearly 60 pieces of rolling stock, including the Class J-611 and 1218 steam engines. Conclude your tour at the O. Winston Link Museum to experience the photography of O. Winston Link, who captured the last days of the steam locomotive and the culture that surrounded it in 1950s Appalachia. Breakfast at The Roanoker Restaurant - sample made-from-scratch biscuits, sausage gravy and country ham. 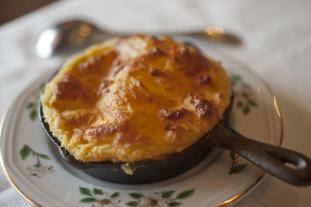 Discover why The Roanoker Restaurant has been featured on Today on NBC and Southern Living. 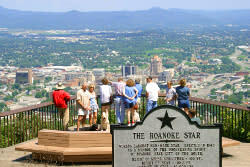 Visit the Roanoke Star & Overlook atop Mill Mountain for an incredible view of the region. Browse the shops and boutiques in Downtown Roanoke and stroll through the Historic Roanoke City Market. Take an adventure on a guided tour! 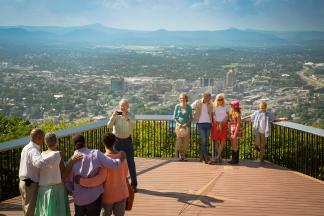 We offer Roanoke Food Tours, Craft Beer Tours, and Wine Tours! Make your way to The Regency Room at The Hotel Roanoke & Conference Center, where you can enjoy the peanut soup and spoonbread, two of the restaurant&apos;s signature dishes. Walk off a few calories along the David R. & Susan S. Goode Railwalk, which leads to the Virginia Museum of Transportation. Take a tour down memory lane and relive the glory days of rail, auto and aviation. Take a short drive to Texas Tavern for a taste of their special "chile" and a famous hamburger, and become part of Roanoke&apos;s Millionaires Club! Finish your afternoon tour with a cupcake at Viva La Cupcake in Grandin Village and don&apos;t forget to stop at Black Dog Salvage, the home of DIY Network&apos;s Salvage Dawgs. Follow Virginia&apos;s Blue Ridge&apos;s board Things to Do in Virginia&apos;s Blue Ridge Mountains on Pinterest.